The venous thromboembolism risk among anti-osteoporotics is unknown. In this primary care study, the risk with other bisphosphonates [1.05 (0.94–1.18) and 0.96 (0.78–1.18)], strontium [0.90 (0.61–1.34) and 1.19 (0.82–1.74)], in the UK and Spain respectively, and denosumab [1.77 (0.25–12.66)] and teriparatide [1.27 (0.59–2.71)] in Spain, did not differ versus alendronate. 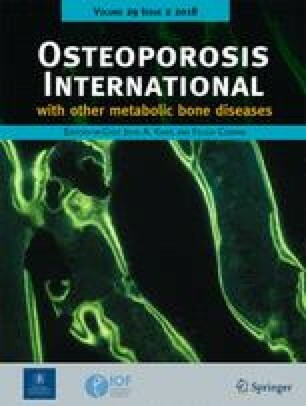 Most of the known adverse drug reactions described for anti-osteoporosis medication (AOM) have been described in studies comparing AOM users to non-users. We aimed to compare the risk of venous thromboembolism (VTE) among incident users of different AOM compared to alendronate (first line therapy). Two cohort studies were performed using data from the UK (CPRD) and Spain (BIFAP) primary care records separately. All patients aged ≥ 50 years with at least 1 year of data available and a new prescription or dispensation of AOM (date for therapy initiation) during 2000–2014 (CPRD) or 2001–2013 (BIFAP) were included. Users of raloxifene/bazedoxifene were excluded from both databases. Five exposure cohorts were identified according to first treatment: (1) alendronate, (2) other bisphosphonates, (3) strontium ranelate, (4) denosumab, and (5) teriparatide. Participants were followed from the day after therapy initiation to the earliest of a treated VTE (cases), end of AOM treatment (defined by a refill gap of 180 days), switching to an alternative AOM, drop-out, death, or end of study period. Incidence rates of VTE were estimated by cohort. Adjusted hazard ratios (HR 95%CI) were estimated according to drug used. Overall, 2035/159,209 (1.28%) in CPRD and 401/83,334 (0.48%) in BIFAP had VTE. Compared to alendronate, adjusted HR of VTE were 1.05 (0.94–1.18) and 0.96 (0.78–1.18) for other bisphosphonates, and 0.90 (0.61–1.34) and 1.19 (0.82–1.74) for strontium in CPRD and BIFAP, respectively; 1.77 (0.25–12.66) for denosumab and 1.27 (0.59–2.71) for teriparatide in BIFAP. VTE risk during AO therapy did not differ by AOM drug use. Our data does not support an increased risk of VTE associated with strontium ranelate use in the community. The online version of this article ( https://doi.org/10.1007/s00198-017-4308-5) contains supplementary material, which is available to authorized users. This study is based in part on data from the Clinical Practice Research Datalink obtained under license from the UK Medicines and Healthcare products Regulatory Agency. The data is provided by patients and collected by the NHS as part of their care and support. This study is based in part on data from the “Base de datos para la Investigación Farmacoepidemiológica en Atención Primaria” (BIFAP) fully financed by the Spanish Agency on Medicines and Medical Devices (AEMPS). The authors would like to acknowledge the excellent collaboration of the primary care general practitioners, pediatricians, and patients taking part in the primary care records and the support of the regional governments, and they thank Monica Ríos Martinez, for her participation in the review of the clinical profiles. 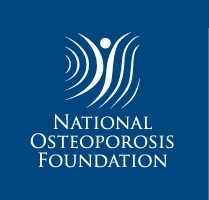 Partial funding from UK National Osteoporosis Society (Project Grant). EMM, SH, SK, AAG, AD, and ALG, declare no financial relationships with any organizations that might have an interest in the submitted work in the previous 3 years, no other relationships or activities that could appear to have influenced the submitted work. IP supervises a PhD student who is funded by Novo Nordisk. DPA had an unrestricted research grants from Servier Laboratoires; AMGEN. MKJ has received honoraria, travel and/or subsistence expenses in the last 5 years from: Amgen, Eli Lilly, Medtronic, Norvartis, Proctor and Gamble, Servier, Shire, Internis, Consilient Health, Stirling Anglia Pharmaceuticals, Mereo Biopharma, Optasia. TPVS has provided consultancy to GSK, Roche, Laser, and Sanofi. AJ has received consultancy fees, lecture fees, and honoraria from Servier, UK Renal Registry, Oxford Craniofacial Unit, IDIAP Jordi Gol and Freshfields Bruckhaus Deringer, a member of the Data Safety and Monitoring Board (which involved receipt of fees) from Anthera Pharmaceuticals, Inc., and received consortium research grants from Roche. CC has received consultancy fees and honoraria from Alliance for Better Bone Health, Amgen, Eli Lilly, GSK, Medtronic, Merck, Novartis, Pfizer, Roche, Servier, Takeda, and UCB. The interpretation and conclusions contained in this study are those of the author/s alone. ESM 1 (DOCX 41.6 kb).